This techno/art installation was constructed through the collaboration of Mike and Annelle Rigsby, a husband/wife team. Mike, an electrical engineer, and Annelle, an artist, spent over 2000 hours creating this display. Ten Arduino microcontrollers and dozens of motors were combined with hundreds of 3d printed parts to make this happen. Mike and Annelle are both authors and this project was created for the community to enjoy. Using clay, Annelle formed models for the Elf heads (and Santa), smaller elves, dozens of animals (riding the ferris wheel) and other parts. The clay models were 3d scanned, adjusted in size (or adapted to fit motor shafts), then 3d printed. Annelle painted the figures and made the clothing. 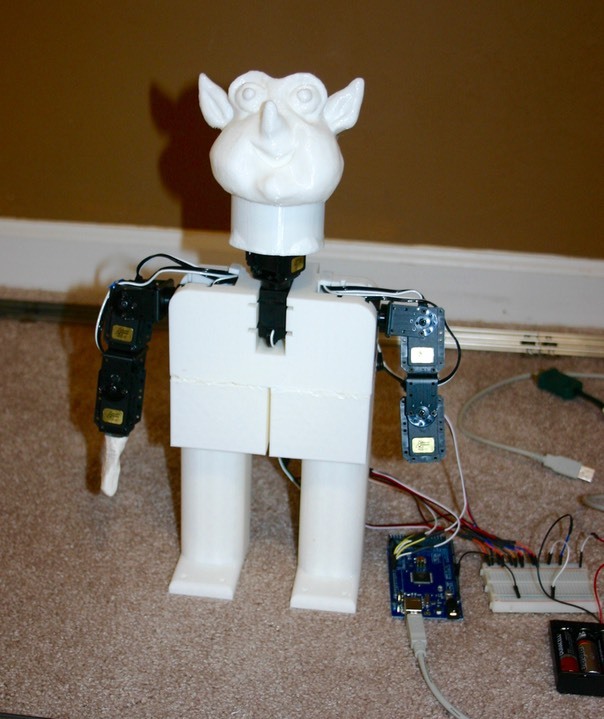 Servo motors (controlled by Arduino microcontrollers) allow the characters to “act” in a planned fashion. The “story” acted by the characters lasts about 3 minutes and is repeated. Details and many of the design files can be found here. There are multiple moving characters who act out a story. 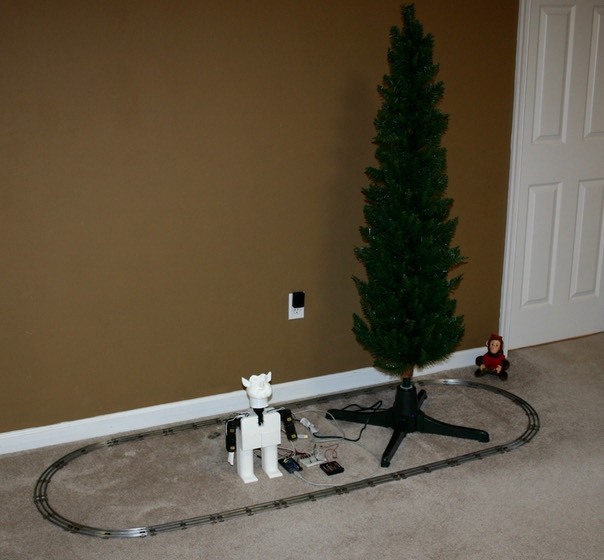 A train circles the rotating tree. The display box is coming along. 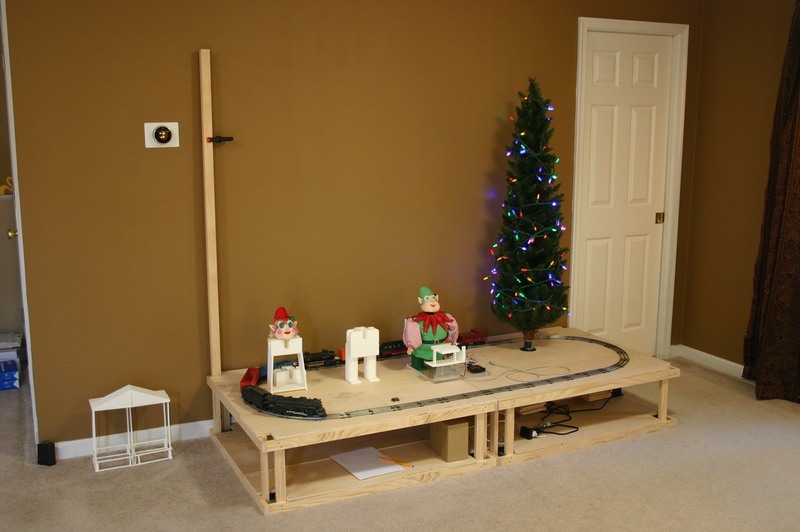 Elmer, the first elf, now has his own instructable.